I'm just about to start the last Chapter on Polio. 1. I liked the second half of the book better than the first, even tho the discussions are not even trying to explore the causes of different diseases. Not in a depth or scientific way, anyway. I want to say that that ship has sailed, but hoestly I don't think that particular ship was ever launched. 2. 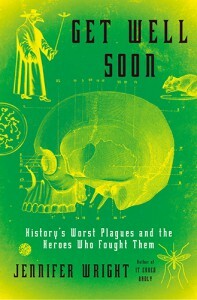 There are some scary stories about medical conditions in this book - not epidemics(! ), this book is really not about epidemics at all - but I appreciate Wright's style in that I needed that uplifting reference to Fraggle Rock at the end of the chapter on lobotomies. That was one scary chapter.